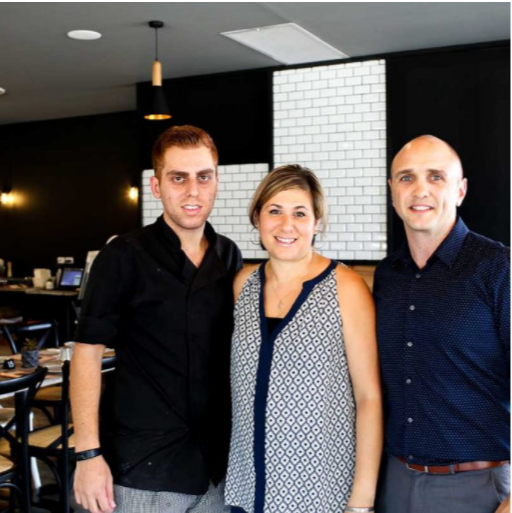 Conveniently located in Northmead Plaza, the restaurant is run by owners Carlo and Charmaine Trieste (Enzo’s cousins) and Andrew El- Haddad (head chef). Andrew who started with Enzo as an apprentice chef learnt that food has got to have flavour, be homemade and also needs to show case the kitchen. Carlo and Charmaine are much loved locals of Northmead who bring the meaning of family to service. The open layout of the restaurant and kitchen ensures everyone’s involved, and makes the customer a priority. The open plan and 110 seats makes Northmead a great location for community events, such as fundraisers and charity functions. There’s also a comfy kid’s corner for the children to relax, watch a movie and draw on the chalk board. Plenty of local parking to dine in or pick up your takeaway food and only 10 mins from Parramatta CBD.